it is the right hand case. and what are the other spec's?? any thoughts on what they are? "We must reject the idea that every time a law is broken, society is guilty rather than the lawbreaker. It is time to restore the American precept, that each individual is accountable for their actions." which holds forth the proposition that it is entirely possible to pick up a piece of sh*t by the clean end!" the one on the right.... 22-223-308RemWin? 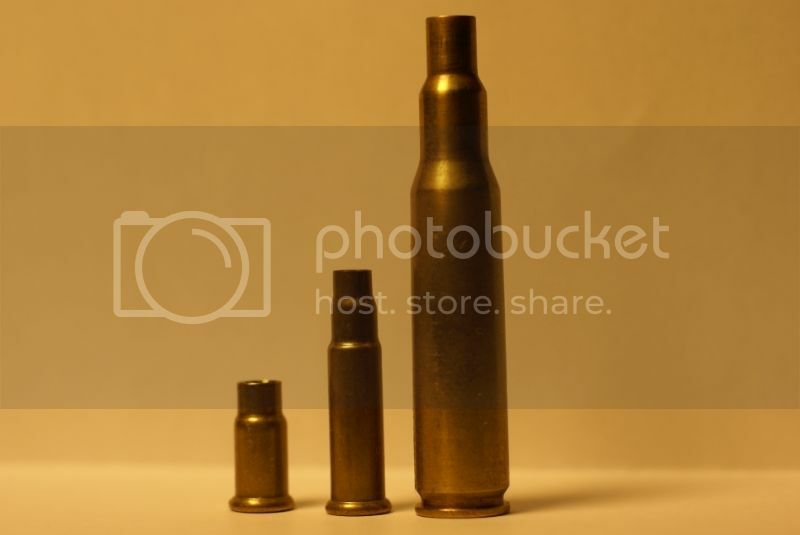 You must have been bored..
75gr bullet @ 3800fps/26" bbl, called the 224 LRVT/224 Hansell, listed in QL program. I have a full series from 22 cal thru 357 calibers, in this double neck/shoulder design. Other than looking very cool 8) , what is the purpose of the double shoulder? I use the newly formed shoulder on my .22 K-Hornet as a second head space, and get great case life as a result. Herter's beat you to it by about 45 years. but I have found NO evidence in print or photo's of their case. and the second shoulder in the normal place. I would be greatly interested in it. No picture, but here's some info. If you can't find a copy of the 50-year of magazine, check the recent June 2016 issue of the magazine, No. 302. The entire first issue of the magazine was included in the recent issue. 2019-03-26 Application status to expire Tuesday!